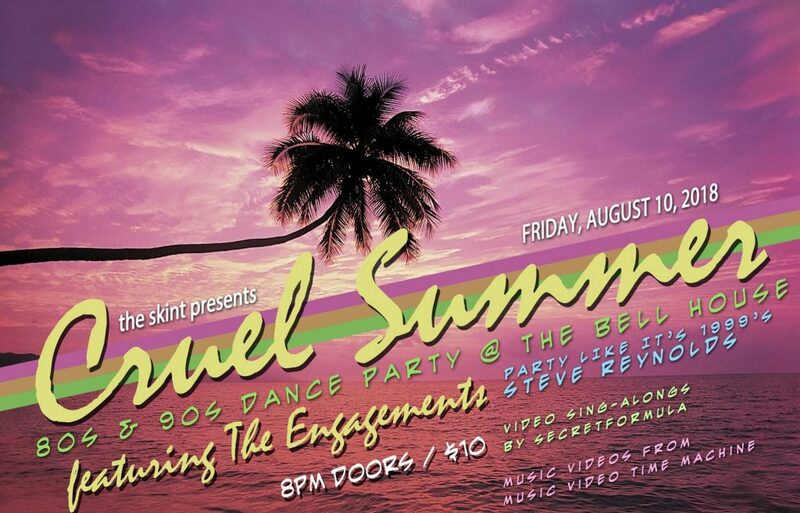 The Engagements brings you the 80s dance party you’ve always wanted. Performing songs by The Cure, Simple Minds, Hall N Oates, Luther Vandross, Michael Jackson, Prince, Madonna, GoGos, George Michael, & more. After party and DJ break sets featuring all of your ’90s favorites by Party Like it’s 1999 Steve Reynolds. The Engagements players have logged hours in the studio and on the road with the likes of Sharon Jones and The Dap-Kings, Steely Dan, Harry Belafonte, Mali Music, Kat Edmonson, Dr. Lonnie Smith, Maxwell, Robin McKelle, French Kicks, David Byrne, Slick Rick, The Sweet Divines, John Forte, Mobb Deep, & Aloe Blacc. They join forces once again as The Engagements to bring you the 80’s dance party you’ve always wanted.